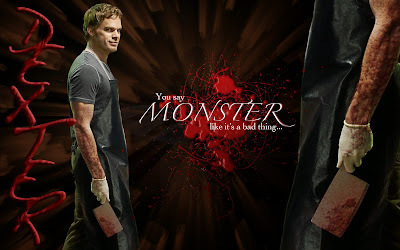 I have always been drawn to characters, stories and themes where the hero (or anti-hero) has a day time self known to everyone and also has a hidden self, a darkness, or in the case of Dexter a “dark passenger” that he wrestles with, or sometimes indulges, in order for the day time self to evolve. I have come to love this persona in Lestat from Anne Rice’s Vampire Chronicles and also Bruce Wayne from Christopher Nolan’s Batman Trilogy. It would be a psychologist’s paradise if these divided selves, damaged as they are, were to integrate into a larger whole. For Dexter, it is those few that know him for who he really is are the ones he says he would love if he were capable of it. In Lestat’s world, it was his grandest wish to reveal himself despite the rules of his vampire kind to keep their existence hidden. Like Dexter, Lestat was also born in blood but in a different circumstance. Lestat was taken captive by a very old vampire named Magnus, an alchemist, who stole vampirism from a creature he captured. Once subdued, Magnus drank the vampire’s blood, giving birth to his dark powers and eventually Lestat’s. There was evidence later on that Lestat was chosen because of his nature. Perhaps, unlike the others before him, Lestat was indefatigable and would yield to no one. Magnus, never having passed on his “gifts”, wanted a strong mortal, knowing his undiluted powers and Lestat’s nature would make him 10 times the vampire. Magnus wanted to be sure his brood could withstand time and the uncertain world. Both maker and fledgling were alike in that they rarely followed the rules set forth by the others like them, one of which was to keep their existence hidden. 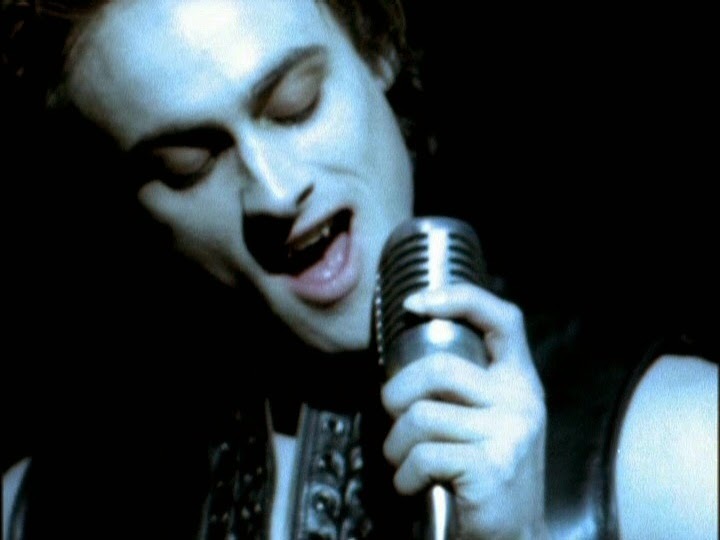 In the instances Lestat revealed himself, it has led to either greater intimacy or isolation depending on the ability of the recipient to comprehend the secret. Practically, vampires kept themselves hidden since they were all vulnerable to the sun. Some vampires also had the awareness that they were an aberration to the natural order of the world. It is this awareness that drove Lestat only to take the blood of evildoers having accepted his place in the world as a monster. Similar to Dexter, Lestat does have a “daytime “role, known to his attorneys. Despite immortality and living in the shadows, Lestat needed to find ways to survive the passage of time and provide for those he has come to love, still honoring the humanity inside him. I should note that in the instances when Lestat deliberately broke rules in the presence of an Ancient One, they continued to love him rather than render punishment that they would have rendered to a lesser vampire. Lastly, I bring up Bruce Wayne’s dark persona with cape and cowl because it is in the guise of Batman does Bruce Wayne find solace and some kind of perverse justice while dealing with the murder of his parents (and his innocence). I’m not sure that Batman was born in blood as much as he was born in Rage. In Christopher Nolan’s rendition, Bruce Wayne had to lose himself before finding his way back “home”, whatever that was, in the aftermath of his loss. We know in watching the films that the person that came back from a self imposed exile was not the same young man that left. Prior to the creation of the Dark Knight, Bruce Wayne channeled his Rage in less successful means, fighting criminals with less stature until he could collect himself enough to come home and battle the source of corruption in Gotham. We find out during the some of the flashbacks that Bruce’s parents used their wealth to try and save the city from self destructing in crime, corruption and poverty. Their murder galvanized the city to heal itself but it was transient. Bruce’s return to his hometown would continue this battle. In the course of the trilogy, we see the lines blurred between what is ethical in order for Batman to win. I suppose it is only human to question your goodness in the face of loss, rage and being so near evil. We know that it was not sustainable for Bruce Wayne to live a life consumed by Batman. At some point in the film, Alfred points out that there was a part of Bruce that wanted to fail because he didn’t care if he lived or died. I suppose the most seductive thing about some of these characters in their proximity to the darkness was how they found their back home or to themselves despite the horrors they endured. I think we’d all like to know that we can come back “home” no matter the paths we take and that there is a strand of “good” locked inside the horrors of our circumstance. For Lestat and Bruce, it seems that it was that single strand that saved them from succumbing to despair, although they’ve certainly given in to it at some point in their respective narratives. 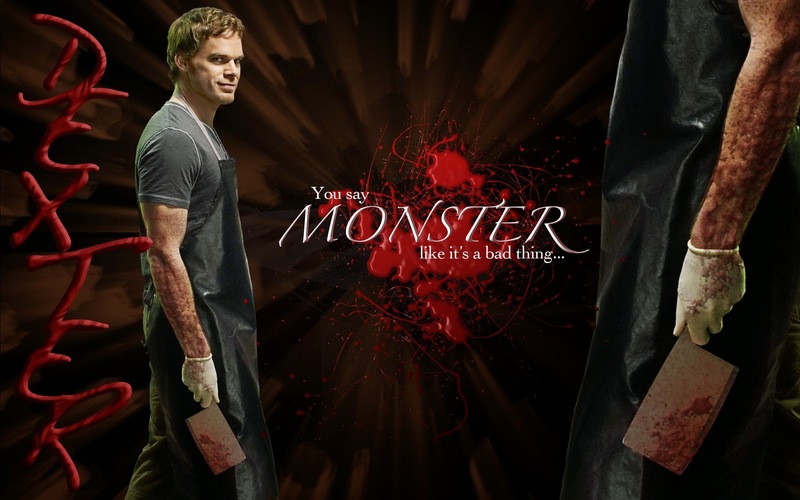 In the case of Dexter, it was his tragedy that he no longer believed he had good inside of him or that he deserved the life that awaited him. His circumstance played out so it was clear to him that he was only capable of destroying the lives of those close to him. Maybe that is what I loved most about the series in that it mimicked real life. For as much as we all wish for happy endings, sometimes it just isn’t possible because of the darkness that surrounds us or the darkness in ourselves. I’m not sure when my darkness was born. My daytime self was born in the hustle and bustle of Metro Manila at the University of Santo Tomas Hospital. (I had no idea until recently that I too am connected with the prestigious Catholic University, formerly a prestigious Japanese prison camp during WWII). My American self came into being on April 19, 1986 when my mother I arrived in New York’s La Guardia airport. We had two large suitcases and her carry on bag. I was 7 going on 8 that year. It was fun then, as all new things. I was experiencing a new colder climate so unlike the equatorial heat of the Philippines. The food was also different having been purchased at grocery stores that I thought were elegant unlike the street side markets in my hometown of Pasay City. We stayed with my aunt and uncle in their home at the start of our “vacation”. Their home was in a cul de sac and my aunt and uncle’s children had kids their own age with whom to play. As kids growing up in the Philippines we believed all things American was desirable, at least I did in my naïveté. I believed everything about the land and culture would be better. I didn’t know at the time that a new culture wasn’t like a new purse you decided to pack your things into and bring to work. I didn’t know that the land, culture and people weren’t necessarily better in our new life. I was glad to be in the states because even in the Philippines I did not look like other Filipinos. I am part Chinese so my skin was lighter and my eyes a different shape. The kids usually pointed out our differences, sometimes kindly, sometimes not. I did have brown skin compared to my American peers, having spent most of my time outdoors. (I didn’t lather on the sun block as a child the way I lather it on now on my son.) The American kids also had prominent noses. They also liked to point out our differences, sometimes kindly, sometimes not. The cul de sac had kids that were toddlers and also kids in high school. My aunt and uncle had a daughter and I was naturally grouped in with her and her friends during our stay. As a child I did not perceive the start and end of such trips while trying to navigate life in new surroundings. I didn’t think of the little girls I played with, my cousins, that I left behind as we started our new life. I just wanted the girls with lighter skin and prominent noses to like me. I didn’t ask when we were going to return home. I remember having a conversation with my dad and him asking if I wanted to stay in America. It must have been the time when our tourist visas were expiring. I remember being agreeable to it. I think the first inkling of my dark passenger was interacting with a little girl that became defensive once I pointed out the difference in our height while playing. She would have liked to have been less diminutive although her personality dominated the other girls. I could either follow her or risk being shunned by the group. I realized then that although she could be critical and sometimes unkind that I would not have the same liberties in voicing my opinions. I don’t blame this on being the new comer or on the kids around me. It was just my nature, like my mother’s, to silence myself against any form of aggression as it is human nature for the strong to identify the weak. As a child I had no idea what awaited me being undocumented. I didn’t even know my immigration troubles had a name until I was told by an attorney decades later. My darkness was an awareness that I was the “other”. There was a Filipino boy I liked in those days. He was one of four brothers and lived next door to my aunt and uncle. They were family friends that immigrated into the US when my aunt and uncle did. This boy and I never had a lengthy conversation outside of family gatherings. The only things we had in common was our proximity and the violin. I liked him because his brown skin mirrored my own. He didn’t like me. He preferred the “pretty” girls at school with light complexions and prominent noses. Although we were of the same origins, he was not of the “other”. I think I realized then that being the “other” had nothing to do with skin color or facial features. For me, being the “other” was a perception of being less as far as the pecking order goes with a group of little girls.